Rivas Music Academy will be hosting a free event on Friday, May 10th to celebrate their 10th year anniversary of shaping the music and vocal landscape across South Florida through their personalized and group music lessons! The event is open to the public and will be held on Friday, May 10, at 7:00 p.m. at the Rivas Music Academy, 3416 W 84 St. Suite 106. The Rivas Music Academy team will be answering any questions that parents and students may have regarding their musical lessons in voice, piano, guitar, drums, violin, among others. Visit rivasmusicvideo.com for more information. We can’t wait to see you there! Experience Miami through the decades at the 3rd annual Flamingo Ball taking place on Saturday, April 6th from 6:30 to 11:30 p.m. The event will commemorate its third year with a night of cocktails, dinner and dancing. Hialeah Park will present the 2019 Henry Flagler Award to Ryder System, Inc and will be accepted by Chairman and CEO, E. Sanchez. All proceeds from the event will benefit HistoryMiami Museum, a Smithsonian Affiliate that safeguards and shares Miami stories to foster learning, inspire a sense of place, and cultivate an engaged community. To RSVP for the Flamingo Ball, please click here. Attire is Black Tie or decade inspired. You don’t want to miss this exciting event with Latin super star Darell, performing his hit singles “Asesina” and “Te Bote” Live on Superbowl Sunday at Shadow Cabaret. Reservations only! All tables sold with bottle service and General Admission tickets also available. This is an Exclusive event with Limited Space. With special performances by the Shadow Dancers. Don’t Miss this Epic Event! Reserve your tickets now! 21+ ONLY! Art on Palm is back! Walk along Palm Avenue while indulging in some delicious bites from food trucks, shop from some of your favorite vendors, and watch live performances from local bands and dance groups. For the art lovers, you’ll have the chance to meet some of the local artists that are on display at the Milander Center for Arts & Entertainment and even purchase some of your favorite pieces. Stay tuned for vendor, performance, and sponsor announcements coming soon! On Saturday, October 6, District Fit will be hosting a preview event at Brightline’s MiamiCentral station to showcase the wellness programming experiences that participants can anticipate later in the month at CityPlace and Hilton West Palm Beach during the multi-day health and wellness festival taking place October 19-21 in the heart of downtown West Palm Beach. With both host locations just steps away from Brightline’s West Palm Beach station, the high-speed rail provides a convenient way for people in neighboring cities to attend events such as District Fit. The preview event, which will feature a Vixen Workout by Zoila Garcia, a Body Weight Movement & HIIT class by Anthony Mendez, and a soccer-inspired fitness class by SoccerShape, was created to inspire participants to attend District Fit’s main event while showcasing the accessibility Brightline provides to special events and attractions nearby. Guests can use the code DISTFIT on gobrightline.com for a 10% discount on round trip tickets to Miami from Fort Lauderdale or West Palm Beach on October 6. As an initiative that builds on the missions of both CityPlace and Hilton West Palm Beach to enhance the health and wellness of community residents and visitors, District Fit offers an invigorating three days of mind, body and soul experiences. All classes during the District Fit preview event will be open to the public and will collect donations to directly support Palm Beach County community organizations in the fight against cancer. For more information or to sign up for the classes, visit www.DistrictFitWPB.com. Join us at Milander Center for Arts & Entertainment for the City of Hialeah’s first ever Wellness Festival! Experience all things health, fitness, and lifestyle by speaking with various health professionals. The 32nd Annual Turkey Trot is scheduled for Tuesday, November 13, 2018 at 3 p.m. at Milander Park located at 4700 Palm Avenue. We invite all children between the ages of 6 and 13 to join in what has become a Hialeah holiday tradition. Prizes for the Turkey Trot include turkeys that will be awarded to the first place winners in each age category and other prizes for second and third place winners. The fourth, fifth and sixth place winners receive medals. Children are encouraged to preregister with their school or local park. Diabetic 2018 welcomes you to grace with your presence in the 26th International Diabetes and Healthcare Conference (Diabetic 2018) to be held at Helsinki, Finland during November 26-27, 2018. This International Diabetes and healthcare conference will bring together diabetic researchers, diabetologists, cardiac surgeons, professors and scientists to discuss strategies for diabetes globally. Diabetic 2018 is designed to provide divergent and prevailing education that will gather medical professional’s familiar of the issues affecting the prevention, diagnosis and treatment of diabetes care. Undoubtedly the participant at this diabetic 2018 congress will be able to exchange with the best experts in the specialty and will return home with extensive knowledge. Diabetic 2018 welcomes you at Diabetes and Healthcare conference going to be held in Helsinki, Finland during November 26-27, 2018 which unites brief keynote presentations, speaker talks, exhibitions, Symposiums, workshops. Diabetic 2018 is the Diabetic meetings which will be most visited by all the eminent diabetologists, diabetes educators, fiery inspectors, postgraduates, affiliations, business meanders under a solitary rooftop. This Diabetic conference will assist to framework organization, B2B teaming up amidst specialists and academicians. Diabetes Conferences promotes awareness against risk factors and advancements about the diabetes. This diabetes meeting lay a platform for postgraduate education and scientific work in the fields of diabetes, cardiology, healthcare, hypertension, nutrition, oncology and stem cell research in diabetes and paediatric diabetes. This conference will provide the focused learning on the distribution of knowledge, opportunities to network and discuss science and medicine on diabetes and healthcare and the recent advances and technologies related Diabetes for the making of better health. Fresh minds will have the opportunity to explore more areas of expertise on Healthcare in Diabetes. With members from all around the world increasing the knowledge about Diabetes and Healthcare and the increase in the new advance related to Diabetes, this is your best chance to reach the largest gathering of participants from Diabetes Community. We avidly look forward to organize our 22nd International conference on Food Science and Nutrition at Moscow, Russia from October 11 – 13, 2018 which is themed Reinforcement on modernization capability in food Science. This particular Euro Food Science 2018 conference targets the conceptualization of recent technologies in food Science and Nutrition. Which includes all end to end process, emerging technology’s in Food Sector, Revolution In Food Safety and quality, Recently developed equipment’s, New techniques in Food Preservation, Effects And Benefits Of Nutrification, Benefits of functional foods, Impact and aims of Nutrigenomics, Need of intelligent packaging, Emerging techniques in food waste management. Dentistry Medicine 2018 scheduled to be held in the month of November 22-23, 2018 at Bucharest Romania is a perfect occasion intended for International well-being Dental and Oral experts too. The gathering welcomes members from every driving university, clinical examination foundations and symptomatic organizations to share their exploration, giving a showcase of the most recent dental procedures around the theme “Welcoming the era of smile”. Please arrive 15 minutes prior to event to ensure parking, set up etc. All ages, no experience required. Yes, mom you can paint, too! Spend an evening with friends and family and catch a movie under the stars! Join us on Friday, April 27th for a movie night at Milander Park, located at 4700 Palm Avenue. This month’s movie is Justice League. Gates will open at 5PM, and the movie will begin at sunset. Admission is free; just bring chairs, blankets, & your appetite! 18th Global Ophthalmology, Optometry and Glaucoma Conference (Glaucoma 2018), which is going to be to be held during October 18-19, 2018 at Helsinki, Finland in collaboration with EVRS, will raise the most dynamic and latest issues in the field of Ophthalmology and Optometry. The Congress will highlight the discussion around the theme “The Science of Eye” by bridging the gaps between the intellectuals from across the globe to enlighten their research and findings at Glaucoma 2018. The Conference additionally goes about as a stage to trade data, new mediation and fortify the coordinated effort among Ophthalmologists, Optometrists, Eye Care Specialists, Related Educators and Researchers from both Scholarly World and Ophthalmic Foundations. Glaucoma 2018 also brings together a unique and international mix of large and medium pharmaceutical, biotech and diagnostic companies, leading universities and clinical research institutions making the conference a perfect platform to share experience, foster collaborations across industry and academia, and evaluate emerging technologies across the globe. Join us for the 2018 City of Hialeah’s Eggstravaganza! 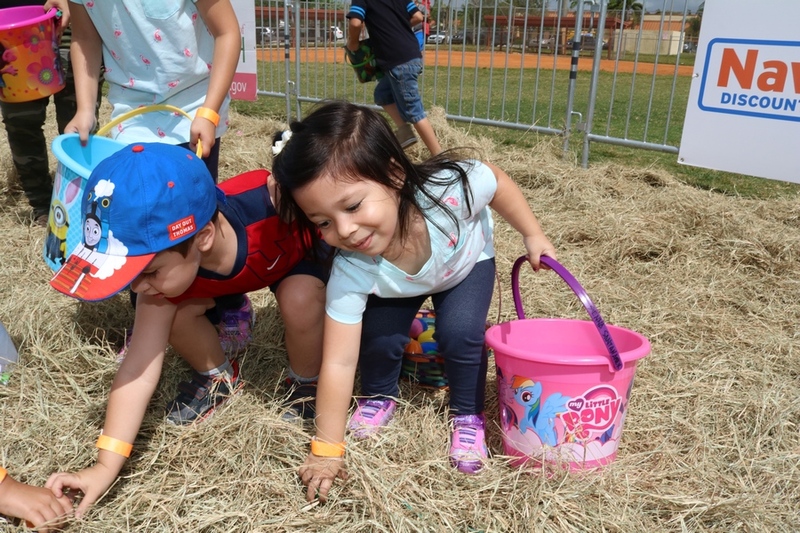 There will be activities the whole family will love including an egg hunt featuring over 50,000 eggs, a Kids Zone and live entertainment. Come enjoy a variety of food trucks, rides, and even a chance to take a picture with the Easter Bunny! Join HistoryMiami Museum for a sizzling “Tropical Nights”-themed gala in the Hialeah Park Citation Room. Enjoy a sumptuous stone crab and lobster buffet, open bar, and much more. Through exhibitions, city tours, education, research, collections and publications, HistoryMiami advocates for helping everyone understand the importance of the past in shaping Miami’s future. Tickets are $350, and proceeds from the gala benefit educational programming at HistoryMiami Museum. The City of Hialeah is proud to announce: “And Still I Rise” – A Collective Art Exhibition inspired by Maya Angelou. In a continued celebration of Black History Month and in honor of Women’s History Month, the Milander Center for Arts and Entertainment will open its doors to an exhibit that is sure to leave you breathless as we celebrate the power and courage of women. Texas Two Step CPR is an annual event whose purpose is to engage the public and educate them on the benefits of compressions-only/hands-only Cardiopulmonary Resuscitation (CPR). Training will take place at the Miami-Dade county locations on Saturday the 24th and Sunday the 25th. The Broward county event will take place only on Saturday the 24th. During 5-minute training sessions, participants learned how to act quickly in the event of cardiac emergencies by following two easy steps: 1) Call 911 and 2) Initiate hands-only CPR. Compressions-only CPR is easy to perform, and can be done by the layman in emergency situations in order to buy time until Emergency Medical Services arrive. The event was created by a group of medical students in 2016 after recognizing the need to train more Texans in lifesaving, hands-only CPR. In its inaugural year the event trained more than 4,200 individuals. To date, this project has trained over 10,000 people in the use of compressions-only CPR with the help of more than 1000 medical students. The City of Hialeah unveils a collective art exhibition in honor of Cuba’s poet & hero, Jose Martí. Join us for a night of art, culture, accompanied with light appetizers & drinks. You’ll also have the opportunity to meet the artists behind the artworks in person! Nursing Health 2018, July19-21, 2018, Dubai, UAE is organised aiming to bring together leading academic professors, scientists, researchers and research scholars to exchange and share their experiences and research results on all aspects of Primary Health care and Emergency Nursing. It also provides a premier interdisciplinary pavement for pharma, Healthcare, Biotech and Medical Device industries and to represent their company and discuss the most recent innovations, trends, and concerns as well as practical challenges encountered and solutions adopted in the fields of Nursing, Paediatrics, Health Care, Cancer, Trauma, Neonatal Nursing, Occupational Nursing, Mental Health Nursing and Family Medicine and Home care . Family Paint Day: Last Party of The Year! We are still accepting Artist Submissions as well as Vendors and Sponsors. (South and Southwest Florida, November 6) In honor of Veteran’s Day, on Saturday, November 11th Hooters is offering all Veterans and Active Duty Military a free meal. Veterans and Active Military can choose from one of five menu items following free menu items: Buffalo Chicken Salad, 10 Piece Boneless Wings, 10 Piece Traditional Wings, Hooters Burger and a Buffalo Chicken Sandwich. Those interested must present their Military ID. Promotion is for dine in only. This offer is not valid with any other discounts and is one per person. As part of its military support, Hooters also invites guests to participate in its annual Operation Calendar Drop program by purchasing a 2018 Hooters Calendar and attaching a personal note of thanks to our troops. Hooters will then collect and deliver the calendars to U.S. military deployed around the world. Since 2013, more than 100,000 Hooters Calendars have been distributed to troops worldwide. LTP Management, a Franchisee of Hooters of America, owns and operates 16 locations in South Florida. For more information about South Florida Hooters please visit www.HootersFlorida.com or follow us at Twitter @HootersFlorida, Instagram @SouthFLHooters and Facebook https://www.facebook.com/hootersflorida/. #HialeahHolidays continues with Santa’s Snowblast presented by Sedano’s Supermarkets! Children of all ages are encouraged to come with their parents for carnival rides, games, food, live musical entertainment and, of course, the chance to play on a mountain of glistening, white snow. Hooters is expressing its thanks to our Nation’s First Responders by treating them to a free entrée. On Saturday, October 28th all First Responders including EMT, Firefighters and Police Officers in uniform can select an item from a special menu that includes, Buffalo Chicken Salad, Buffalo Chicken Sandwich, Hooters Burger, 10-Piece Traditional Wings and 10-Piece Boneless Wings at any Hooters location. “We look forward to seeing First Responders from our local community at Hooters. We want to thank our Nation’s First Responders for their strength, courage and service, said Hooters Director of Marketing Kristi Quarles. Offer is for dine in only, one per person for all active first responders with First Responder identification card. LTP Management, a Franchisee of Hooters of America, owns and operates 16 locations in South Florida. For more information about South Florida Hooters please visit www.HootersFlorida.com or follow us at Twitter @HootersFlorida, Instagram @SouthFLHooters and Facebook www.Facebook.com/SouthFloridaHooters. Healthcare Asia Pacific 2018 is now collaborated with Asian healthcare hospitals and management, voice of leaders, Placid way, innovating care, ASEAN Brifing and many more. Healthcare and Management, Public healthcare, Private Healthcare, Occupational healthcare, Healthcare Case Studies, Home Care, Nursing Education, Cancer and Care, Infectious Disease and Prevention, Healthcare and Chronic Diseases, Psychiatric and Healthcare, Community Healthcare, Women Health Issues and Care, Paediatric Healthcare, Nutrition and Healthcare, Dental Care, Healthcare Services, Health Informatics. We invite all children between the ages of 6 and 13 to join in what has become a Hialeah holiday tradition. The annual Turkey Trot Presented by Fresco y Mas is scheduled for Monday, November 13, 2017 at 3:00 p.m. at the Ted Hendricks Stadium located at 4800 Palm Avenue, Hialeah, FL 33012. Prizes for the Turkey Trot include turkeys, seasonal pies, ribbons, and trophies. Join us on Friday, November 17th at Triangle Park for our annual Tree Lighting Ceremony! The event begins at 6:00pm with live entertainment and various food trucks. Guests of honor will include Santa and Mrs. Claus for anyone wanting to capture a picture perfect moment, all leading up to the moment we officially welcome the holiday season to Hialeah with lights! You tend to think of yourself as brave. Being brave will not save you now! Come give voice to your spirits, spend a night at the Insanitorium. Once you step in…you can’t step out! Ever wondered what happens when a young married couple moves from the windy city of Chicago to the colorful and strange land of Hialeah, Florida? The long-awaited premier of the Hialeah Series is coming to Milander Center for Arts & Entertainment, and we want YOU to be a part of it! Join creators David Vargas, Melissa Carcache, & Javier Mayol along with the entire cast for a night that celebrates our city and the unique mark it leaves in our hearts. The City of Hialeah invites you to the opening reception of our Hispanic Heritage Month exhibit: “La Mano Hispana”. Join us and experience art that celebrates the rich cultural expressions of Hispanic traditions, history and contemporary life! The EuroScicon will be holding its CNE and ADA accredited 4th World Congress on Polycystic Ovarian Syndrome from June 07-09, 2018 London, UK. The theme of this year’s meeting is “Diagnosis & Intervention of Polycystic Ovarian Syndrome” which will provide an international platform for discussion of present and future challenges in Effects of PCOS on women’s health, Risk factors in PCOS and expertise meeting. World-leading health practitioners, clinicians, educators and researchers will present cutting-edge and practical clinical techniques based upon widely accepted evidence and will introduce new and emerging research. Hialeah’s art scene never disappoints! Join us on September 15th for Art on Palm, a block party featuring live music, live art & shows, and food trucks! The fun starts at 7PM on 5th Street between Palm Avenue and East 1st Avenue, for more information please call 305.804.7141. Hialeah’s art scene never disappoints! Join us on August 18th for Art on Palm, a block party featuring live music, live art & shows, and food trucks! The fun starts at 7PM on 5th Street between Palm Avenue and East 1st Avenue, for more information please call 305.804.7141. The City of Hialeah invites you to the opening reception of our newest exhibit: “Pop Goes the Palette” on Friday, August 25th at 7 p.m. Milander Center for Arts & Entertainment. This will be a collective art exhibition rich in pop and non-pop art in celebration of the sumptuous colors of life. The City of Hialeah invites you to the Annual Independence Day Celebration presented by Leon Medical Centers! Celebrate with family and friends and experience our vibrant city at its best. With a variety of food trucks, activities at the Kids Zone, and even a live concert, this event will be one that you can’t miss! Missing Children is an epidemic that plagues our global community every single day. The National Center for Missing and Exploited Children reports that roughly 800,000 children are reported as missing in the United States each year. Of those children that are reported missing, about 20 percent are not found alive. We cannot sit idly by and let our children continue to be taken from their families and stripped of their freedom. Florida National University, its Powerhouse Steering Committee and the Dr. Jose Regueiro Foundation have collaborated to present the Third Annual Missing Children’s Awareness and Prevention Rally. The event will take place on Thursday, May 25th, 2017 at 10AM outside of Florida National University’s Hialeah Campus, which is located at: 4425 W 20th Avenue, Hialeah, FL 33012. The City of Hialeah is pleased to present a Cuban and Diaspora art exhibition featuring the work of 17 seasoned and emerging artists that have been influenced by the culture of modern art in Cuba from past and post 1959. Come and witness this extraordinary collective art exhibition of discovery, loss and the evolution of the soul of the Cuban artist at the opening reception starting at 7PM. This exhibit and parking are free and open to the public. Please join us as we continue our six-month long #HIALEAHNOW Series at the Beats and BBQ Bash in the Leah Presented by Jameson! Nothing like a good ‘ol barbecue to bring people together along with some banging beats to jam to. This is a celebration of community through music and art and the most fitting close to our series. With your $5 donation to Catalyst, you can sample three of Miami’s favorite barbecue restaurants’ best dishes! Full plates will also be available for sale. Join the cypher or watch from the sidelines, you’ll enjoy witnessing the Catalyst Crew and their award-winning breakdancing moves competing for the title of Best B-Boy/B-Girl and a $500 cash prize! The BBQ Bash will celebrate the life of one of this community’s most giving and impactful individuals, Catalyst Hip-Hops’s Joel Stigale, the passionate founder who worked with mentoring at-risk youth and inspired many of Hialeah’s most impressionable minds through hip-hop and positivity. Free and open to the public, free parking. Saturday, May 20 // 2 p.m. – 8 p.m.
Hialeah’s Southeastern industrial corridor rose to prominence during the 1980s as one of the largest and busiest areas of production and manufacturing in Florida. As a result of modernization combined with the effects of outsourcing, the uses that were once prevalent in the area dissipated and this particular area was all but abandoned. Since that time, a medley of different uses has been incorporated into the area including a heavy presence of some of Miami-Dade County’s most prolific thrift stores. These thrift stores have been instrumental in introducing Hialeah to an entire generation of antique lovers and artists. The Hialeah Artist Live/Work Overlay District, also known as The Leah Arts District, enjoys a strategic proximity to the newly proposed Hialeah Market Station development project, Miami’s artistic hubs, and other destination areas within Miami-Dade County. Because of it’s location and highly affordable price per square footage, Hialeah’s new Artist Live / Work District is in a position to play a vital and important role in the artistic and cultural development of not only Hialeah, but the entire South Florida community. The City of Hialeah and the Florida Grand Opera are pleased to announce their fourth installment of Family Day on Sunday, April 9, 2017. Perfect for children of all ages, FGO’s Family Day offers a hands-on, behind-the-scenes experience, with interactive workshops, musical activities, and a live family friendly performance of the opera classic Carmen. Join us for the 2017 City of Hialeah’s Eggstravaganza! Live Radio show on Jolt Radio, Discussion & Call in using this phone number 305.912.5658. Ife-Ile Afro-Cuban Dance Festival, Origami Everglades, Reading Queer Literary Festival, PageSlayers Summer Camp, N8tive Reel Cinema Festival are all winners of a 2016 Knight Arts Challenge, a grant awarded to any one with an idea that brings South Florida together through the arts. Applying takes 150 words to fill out the initial application, which will be available atÂ knightarts.orgÂ through April 28, so be ready to distill your complex ideas down to their very essence, if you can. 3) The grant recipients must find funds to match Knightâ€™s commitment. Many previous Knight Arts Challenge winners have been small, grassroots efforts that reflect South Florida and its many cultures. They include the recently launched Nu Deco Ensemble, which aims to be a 21st century orchestra for Miami; MicroTheater Miami, which adapts an idea from Madrid by offering short plays in shipping containers; in addition to funding to engage the public in creating a major public art project in Opa-locka. The City of Hialeah invites you to the opening reception of â€œWomen: Itâ€™s All About Us â€“ Portraits of Love and Courageâ€ on Friday, March 10 at 7 p.m. Milander Center for Arts & Entertainment 4800 Palm Avenue, Hialeah, Florida. This collective art exhibition pays tribute to the greatness of all women in a month-long art exhibit featuring the works of over 75 impassioned artists tasked to celebrate the profound influence of women. The visual interpretations of this collective will visit the milestones and whispers in the landscape of women. Admission and parking are free. Photographer Cristian Lazzari spent an autumn in Nepal photographing the people and their beautiful country. The following spring, a disastrous earthquake destroyed much of what will be seen in this exhibition.